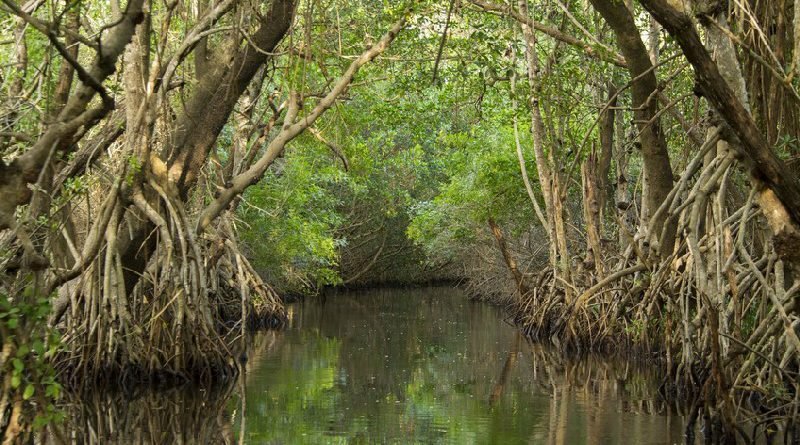 As sea levels continue to rise, more areas of the coastal Everglades will be susceptible to saltwater intrusion, according to a new FIU study. Sea levels rose 2.2 centimeters annually from 2011 to 2015, according to scientists in FIU’s Southeast Environmental Research Center and FIU’s Sea Level Solutions Center. In 2012, sea levels rose 10 centimeters in the dry season months of December to May and have not subsided. Many factors contributed to the drastic increase in 2012, including melting ice sheets, a strong La Niña season in 2011, and slow ocean currents that allowed seawater to pile up along coastlines. Parts of the coastal Everglades that were once flooded by seawater about 70 percent of the time are now covered by sea water 90 percent of the time. Tamiami Trail, which connects Tampa to Miami, prevents the natural flow of water in the Everglades from north to south. Resource managers release fresh water into the Everglades during the wet season from June to November, an effective tactic in fighting saltwater intrusion when sea levels are highest. But salt water can move inland during the dry season when fresh water is not released into the Everglades. The Comprehensive Everglades Restoration Program was created by the U.S. Congress in 2000 to restore water flow. But sea level rise was not taken into account when the program was developed. The coastal Everglades is a delicate ecosystem that depends on the right balance of fresh water and salt water to stay healthy. Nestled in between marine and land environments, it is vulnerable to sea level rise because of its low ground level, loss of peat soil, tides and flooding, and excess marine nutrients. The scientists relied on data collected by the Florida Coastal Everglades Long-Term Ecological Research (FCE-LTER) Program. Housed at FIU and funded by the National Science Foundation, the FCE-LTER Program studies how water, climate, and people affect the Everglades. The study was published in Journal of Environmental Management. FIU’s Southeast Environmental Research Center and the Sea Level Solutions Center are housed in FIU’s Institute of Water and Environment, which is dedicated to addressing global water and environmental issues. Sea level rise is causing havoc with our ecosystem in the Everglades something must be done.